With Content Away's organized platform, studying is no longer a burden but a process of learning and discovery. Explore and share excerpts from books, class notes, exercises, and more! With Content Away you can compile and organize all your information in a simple and secure way. Using textbook chapters, excerpts from books, class notes, exercises, and more, you can create your own virtual study space. Customized use based on the needs of each university. A user-friendly platform for stress-free studying. Earn money by contributing publications to the Content Away community. Integrate Content Away with other applications and platforms used by your university. Access to relevant and reliable materials that you can trust. What's happening at Content Away? 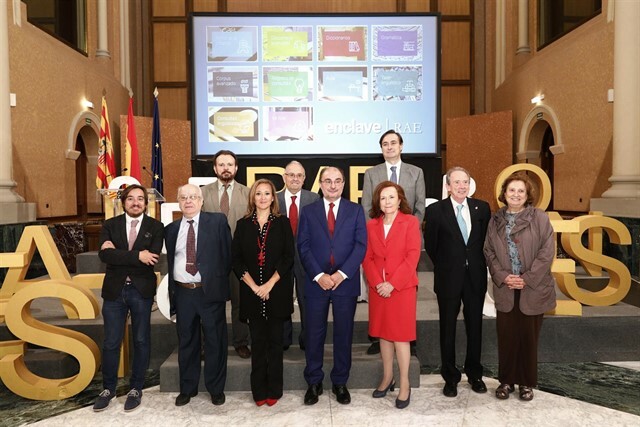 Gracias a un acuerdo entre el Gobierno autonómico de Aragón y la Real Academia Española (RAE), los alumnos de la Comunicad utilizar la plataforma virtual 'Enclave RAE'. El pasado 22 de mayo, José Antonio Vázquez publicaba una entrada en el blog dosdoce.com dedicado al trabajo qué hacemos en Content Away.